A brand new, most encouraging book is about to be released… Fringe Hours by Jessica Turner will be available February 17. I had the opportunity to pre read the book and I have to tell you. It is one of the most encouraging books that I have read in some time. Jessica speaks hope, some thing most of us women truly need in the day to day full and mundane tasks we each must do. She speaks as a wife, mom, full time working woman who has learned the importance of making time for those things that breathe life into us. Where does she find the time? #fringehours ! A little less pressure, a little less guilt has plagued me since reading the book and taking back a little bit of time to do those small things that bring me joy. Yes, my kids, my husband, serving them, loving them. It all brings me joy, but there is more to each of us as whole persons. 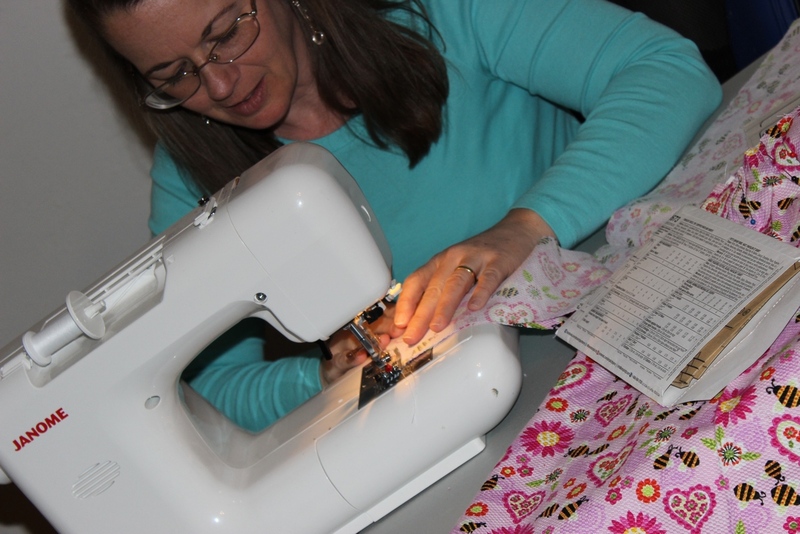 So I broke out the sewing machine to tackle a sweet project and oh how did that revive me. Interested in learning a bit more? Visit Jessica at her blog, The Mom Creative! I think you will be inspired and encouraged. Speaking of incourage…. have you ever hear of the Bloom Book Studies? I wonder if you can guess what the next book study will be? Tell me, what do you love to do when you can have a little time? Me? SEWING, a brisk walk, reading, watching a little Dr Who with my daughters are a few of the things I love make time for. Isn’t sewing a wonderful way to spend a few fringe hours!! It’s so nice to be productive doing something you enjoy. Enjoy! Yes it is wonderful. It is funny how I hesitated to share this photo, since the project is for someone else. 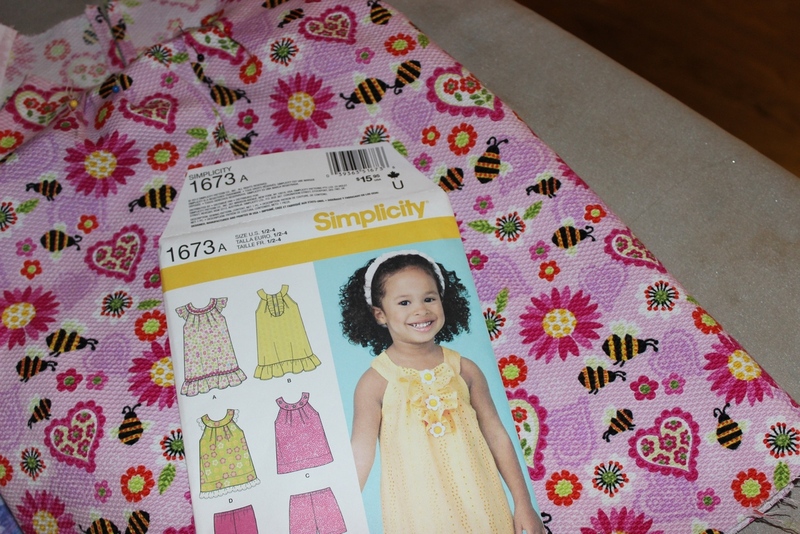 But it is still giving me great joy to be working on a summer dress for my grand daughter. Me too. I love love sewing. It is really the best to be able to take a simple piece of cloth and in the end have something that is useful and beautiful! Thank you for stopping by and for commenting!